Badasses seek out two things: wise counsel and community. Both are key to living your best life, now. Whether you have a one on one coach or not, doing the personal work of uncovering your truths and your goals is made possible by being highly supported. I believe in the power of women who join together in community to lift one another up. That's why I'm proud to be part of the team at Inner Glow Circle, a truly unique and badass community for women. What is the Inner Glow Circle Mastermind? Designed as a year-long program (month- to- month optional), Inner Glow Circle is an all-inclusive mastermind and mentorship experience for women seeking sisterhood, support and empowerment in their careers, businesses and lives. A dynamic, all-inclusive experience, IGC provides over 30 live group coaching calls every month (yes, live calls almost every single day! ), workbook-style monthly modules and a members-only online community. Every membership comes with an all-access pass to our live events, called Goddess Circle, hosted by our Mentors and Members across the world. Whether you’re growing your business, exploring career transitions or simply diving deeper into your side hustle, our team of certified mentor coaches specialize in business, career, marketing, mindset, self-care, relationships and more and are here to support you in every way. Our powerful coaches have joined us from ICF accredited coach training programs like Accomplishment Coaching and IPEC and and world-renowned coaching institutes like Institute of Integrative Nutrition and Holistic MBA. They’ve trained under a range of industry leaders such as Nisha Moodley, Gabrielle Bernstein, Jody England and Gina DeVee. We’ve also curated a sisterhood of brilliant members who generously support each other. Our members include coaches, lifestyle experts, yoga instructors, therapists, lawyers, nutritionists, celebrity stylists, interior designers, intuitive healers, reiki masters, DoTerra reps and more. Each woman brings her own powerful message, and you, goddess, are no exception. Because I am part of the leadership team at Inner Glow Circle, registering for this community through me means that you'll be placed on my mentorship team. You'll receive one on one mentoring support on a monthly basis, and you can plan to attend the Attraction in Action call, which I lead on a bi-weekly basis. 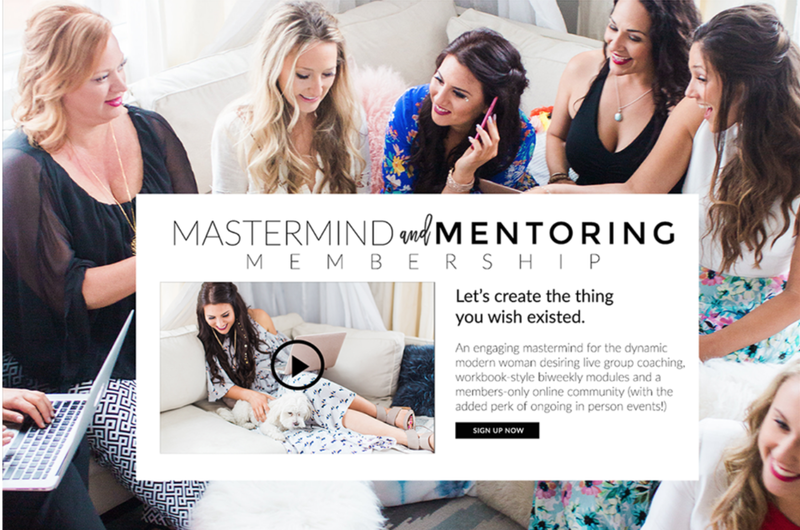 You can start the Inner Glow Circle Mastermind any month, any time, but the most exciting time to join is the beginning of the month, when we introduce the monthly Goddess Code™ theme, a core value we believe to be central to your growth and empowerment. In addition to accessing the monthly modules in your member portal, you’ll also receive a monthly email describing the theme of the month, a quote to live by and a recommended book to spark meaningful conversation and further exploration. Ask questions and share your insights on group coaching calls and through the online community.